Havant and Waterlooville are through to their second consecutive Hampshire Senior Cup final after beating Sholing 3-2 at the Universal Stadium. The Hawks raced into a 3-0 lead in the opening period before being pegged back to within a goal, with the Boatmen being denied a penalty shootout after Ryan Woodford headed the ball off the line from an attack in the final minute of added time. Havant will face either Basingstoke Town or Southampton Under 21's in the final which will take place at Eastleigh FC's Silverlake Stadium on April 24. Lee Bradbury's side got off to the perfect start and scored in the opening ten minutes of the game when Ibra Sekajja drilled the ball low into the bottom left hand corner. Midway through the opening period the lead was doubled when a corner from Chris Paul was played into Jordan Rose who headed the ball into the bottom right corner to double the Havant advantage. And two minutes later two became three with Ibra Sekajja this time volleying the ball from the edge of the penalty area into the back of the net. 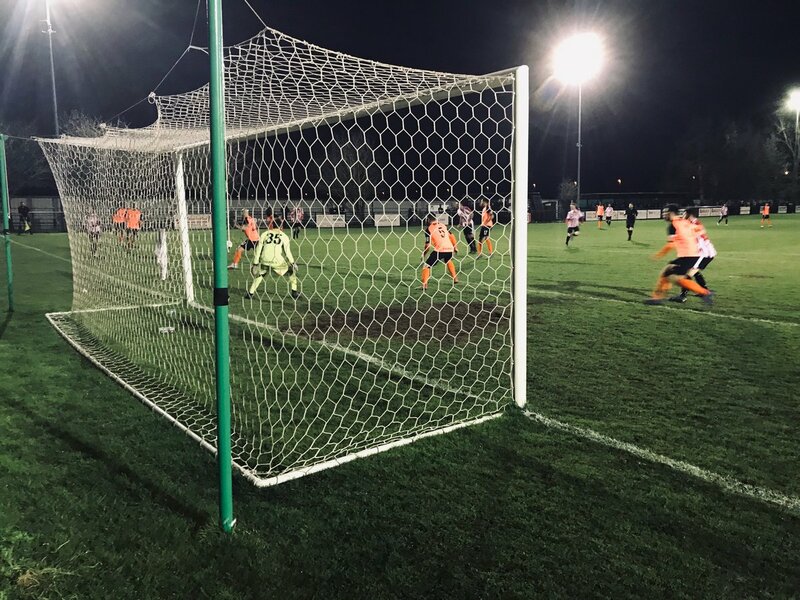 Sholing pulled a goal back ten minutes before the break with Dan Mason shooting from the edge of the box past academy 'keeper Oliver Eyres, who made his Hawks debut, but despite getting a hand to the ball, it would go into the back of the net. This lead to a Boatmen surge towards the end of the opening period, but the Hawks defence held out. Sholing pulled the game back to within a goal on the hour mark when Lee Wort drilled the ball low into the back of the net. The Hawks knew that they had to show all their resiliant qualities to hang on against a side who are unbeaten in the Wessex League Premier Division this season. Oliver Eyres pulled off three cracking saves in the Hawks goal in the second period, before Ryan Woodford's head kept the tie from going to penalties. A corner swung in perfectly found Lee Wort, but Woodford spectacularly headed the ball away from danger, ensuring a safe passage through to the Hawks' third Hampshire Senior Cup final in four years. The Hawks through to the final but were made to work hard to progress to the final at the end of next month.